Need to upgrade your pet's bed cover? 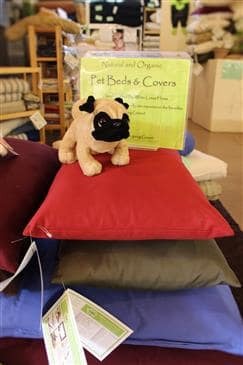 We handcraft our Pet Bed covers from 100% Cotton fabrics or 100% Organic Cotton fabrics. They are very durable fabrics that can also be washed and line dry when needed.